Autism Treatment – Hyperbaric Oxygen Therapy for Autism : DISCLAIMER This information is for informational purposes only and is not intended to replace the advice of a physician! Anyone who wishes to embark on any medical program intended to prevent or treat a specific disease or condition should first consult with a qualified physician! Hyperbaric Therapy for Autism – There is an estimated 1 to 1.5 million Autistic individuals in the United States. With an annual growth rate of 11-16% and a 172% increase from the 1990’s Autism is the fastest growing developmental disability in this country. The condition effects communication and social interactions and is the effect of neurological dysfunction. Autism is a spectrum disorder, with varying degrees of impact and is the most common of the Pervasive Developmental Disorders /PDD0. Other disorders in this spectrum range include; Asperger’s Syndrome, Rett’s Disorder, Childhood Disintegrative Disorder and Not Otherwise Specified Pervasive Development Disorder. Hyperbaric Therapy for Autism – While the cause of Autism is unknown at this time, there are many theories as to the source of the condition. Some medical professionals claim that the Autism is caused by a state of hypoxia, or lack of oxygen to areas of the brain. Others state that the condition was due to a high fever or infection, trauma during birth, mineral or other nutritional deficiencies, vaccination reactions, mercury poisoning, chemical exposures, or abnormal blood flow in the brain. While there is currently no cure for Autism, researchers are investigating new and revolutionary means of treating the condition with promising results. Hyperbaric Therapy for Autism – Hyperbaric Oxygen Therapy used in Autism Hyperbaric oxygen therapy /HBOT has been utilized to treat Autism in many countries throughout the globe. The rationale behind using hyperbaric for Autism is that the treatments increase cerebral blood flow and thus oxygen is delivered to areas of the brain, which are thought to be oxygen deficient. Greater amounts of blood and oxygen begin to stimulate cerebral tissues and aid in recovery of idling neurons. HBOT also reduces excess fluids and swelling of brain tissues which aid in neurological function and a less confused state in Autistics. Hyperbaric Therapy for Autism – Hyperbaric is also used as a complementary therapy for the treatment of heavy metal detox for such materials as mercury. Hyperbaric assists in the metabolism of heavy metal removal. It can help a patient counteract the effects of heavy metal poisoning and helps body deal with toxins even as noxious as cyanide. It is often used in conjunction with chelation and other detox procedures to help support the body to deal with the impact commonly seen in the removal of heavy metals, mercury, toxins, and other contaminants. Hyperbaric Therapy for Autism – Worldwide, medical researchers are discovering promising results with the effects of hyperbaric therapy on persons with Autism. Hyperbaric Therapy for Autism – In one study, involving brain functionality and recovery for children with chemical exposures exhibiting PDD disorders, hyperbaric oxygen therapy was found to be remarkably effective. Treatments consisted of 10 sessions in a hyperbaric chamber at 1.3 ATA, for one hour per day, five consecutive days for two weeks. To increase validity to the study results, SPECT scans of each patient’s brain were taken before and after the hyperbaric treatments to quantify physical changes to the brain tissue. Autism Treatment – The SPECT scan showed an increase to blood flow and oxygen to the temporal lobe. SPECT scans of patients taken before hyperbaric treatments showed a significant amount of dormant activity while scans taken of patient brains after hyperbaric indicated an increase in brain activity and blood flow. After hyperbaric therapy, dormant brain regions were replaced with greater functioning tissues and represented a scan more similar to a healthy individual. 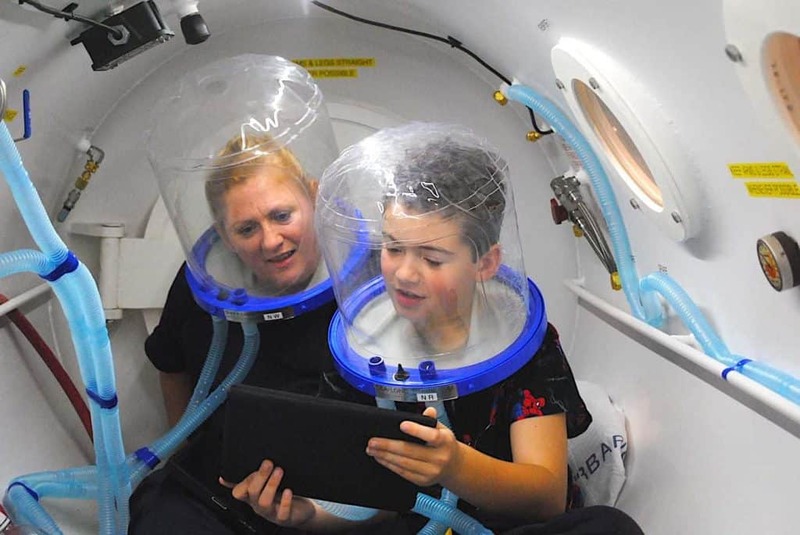 Autism Treatment – In another recent study, measuring the effects of hyperbaric oxygen therapy on Autistic children ages 1-11 yrs, researchers found a total effectiveness of hyperbaric in 93.6% of study participants. Autism Treatment – Researchers theorized that HBOT was effective in combating autoimmunity and the viral aspects of these conditions when encephalitis was present. Autism Treatment – So how can HBOT help with Autism? Scientists have varying opinions on why the therapy is so successful as a treatment for the condition. Some theories suggest that the brain in some persons withAutism, as well as Cerebral Palsy and other neurological disorders, is lacking oxygen and in a dormant, or sleeping state due to lack of blood flow. HBOT forces oxygen into tissues throughout the body including brain tissues and fluid, resulting in a re-awakening of dormant areas of the brain. Other theories state that excessive swelling in the brain results in alack of oxygen causing cerebral impairment that can cause behavioral problems, confusion, etc. Oxygen is forced into these damaged areas, through the pressurization of HBOT, which alleviates brain swelling by constricting blood vessels. 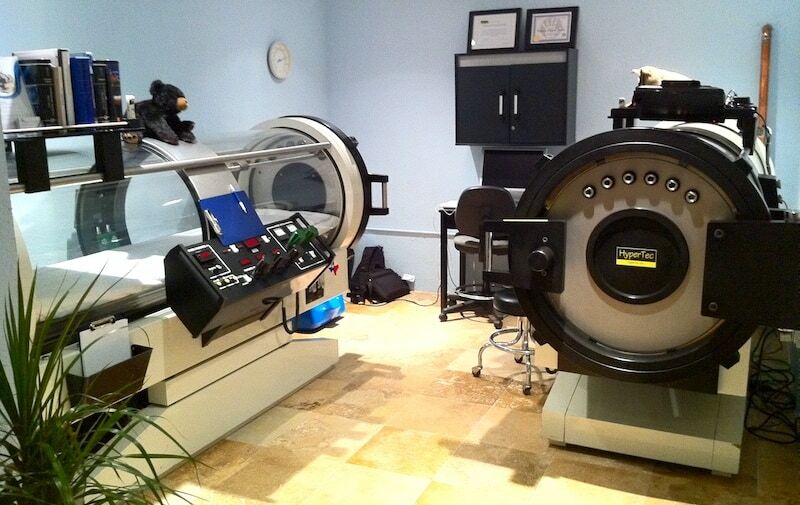 In addition, HBOT is thought to provide an optimal environment to assist in the regeneration of brain tissue.